Facebook's coffee-stained paper invitation to a Thursday announcement in Menlo Park promised a new product, which by all accounts will be Vine-like videos for Instagram. Not exactly new, but Facebook is clearly taking aim at Twitter. According to All Things D (and originally reported by TechCrunch), Facebook plans to fold looping video into the Instagram experience. It's unclear whether the video product will be a separate app or part of a redesign of some sort. The Vine team seems to be anticipating an Instagram video announcement, too. On Tuesday, the company in a blog post said new parts of Vine will be released over the next few weeks. Facebook obviously needs to embrace video, because that's what the kids want, and Instagram needs to remain competitive. But Facebook could go further with its products. Instead of reacting to competitors, Facebook could move the conversation forward. It could start with Facebook Home. Home is the Android launcher that Facebook touted as its solution for bringing mobile and social together. The response so far has been underwhelming, which Facebook execs said they expected. Home isn't yet the fully fleshed-out product that CEO Mark Zuckerberg envisions it will be as updates are released. Facebook has already upgraded Home with an easier way to access your favorite apps and add multiple images to a message, but the launcher needs to go deeper than that. But no other social network is moving so quickly to integrate so deeply with a smartphone operating system, which is where Facebook stands to make its mark. Facebook needs to take Home beyond a simple launcher (though it has some really appealing visual elements). It needs to test the boundaries of what Android has to offer. Instead of blocking the parts of a phone that people want to get to, like contacts and apps, Facebook Home should integrate more deeply with everything. "They continue to say they're not going to build a mobile phone, but the future of Facebook is tied to mobile," Gartner analyst Brian Blau told TechHive. "The bigger presence that Facebook can have in a mobile ecosystem, the more competitive they're going to be." Employers are already using Facebook to find prospective employees--or to investigate just how wild their job applicants' college days were--so the world's largest social network really needs to move into the professional networking department. Facebook is already wading into Twitter territory with hashtags and (reportedly) Vine-like loops on Instagram, so moving into LinkedIn's territory makes sense from a competitive standpoint. Networking opportunities and job postings are no-brainers, but if Facebook offered a Professional Profile view or other opportunities to put your best foot forward, it would likely increase the network's popularity with the 25- to 34-year-old demographic. Sure, you can set up different groups and tweak your privacy settings so employers have a limited view, but imagine the possibilities if your personal profile and professional profile could be managed in the same spot. Twitter is dominating the social news space, so much so that RSS readers are slowly dying. People consume news much more quickly than ever before. Facebook needs to get in on this action. We're not sure if the rumored newsreader is a good idea, given the declining popularity of RSS feeds, but Facebook has said it plans to introduce better ways to bake in the new hashtags. A visual news feed (not to be confused with News Feed) with a mobile-first design would go a long way toward making Facebook a one-stop shop for content. You can buy a lot of virtual stuff on Facebook, but what if you could buy real stuff? Blau suggested that "using the social network to facilitate some sort of transaction for a real good" would be an interesting step for the company. After all, Facebook already knows what you like, where you shop, how much you weigh, your shoe size...OK, maybe not the last two (that we know of). We're not sure what Facebook's e-commerce platform would look like, exactly, but the company could definitely make shopping more social and expand on its Facebook Gifts service by acquiring a new social shopping platform for $1 billion. Or if Etsy's on the market, Facebook should scoop it up. 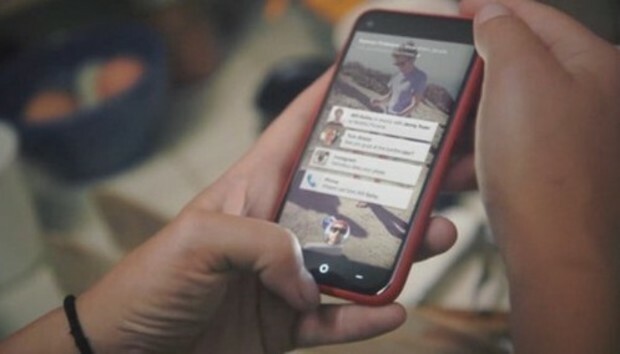 If the Instagram video rumors prove true, it's an understandable move for Facebook. Users are clearly clamoring for ways to express themselves, and the six-second restraint of Vine has encouraged really creative, compelling works (along with mundane teen selfies). Instagram should innovate with new ways to edit video and add effects--old-timey 8mm shorts, please. Other social networks are introducing new ways to create content, like audio clips, GIF creators, and meme generators. People love this stuff. If Facebook could position itself as competition for not just Twitter/Vine, but YouTube, the possibilities are endless. Blau says Facebook could stand to listen to what its users want instead of watching its competition so closely. He pointed toward Amazon and Zappos as examples of companies that place a high premium on customer service. "If everyone is focused on keeping the customers happy, how can they go wrong? I don't get the sense that Facebook has that," Blau says. A social focus is good. Mobile is better. Focusing on users and what they want is best.